Explanation: When does the Sun look like a flower? 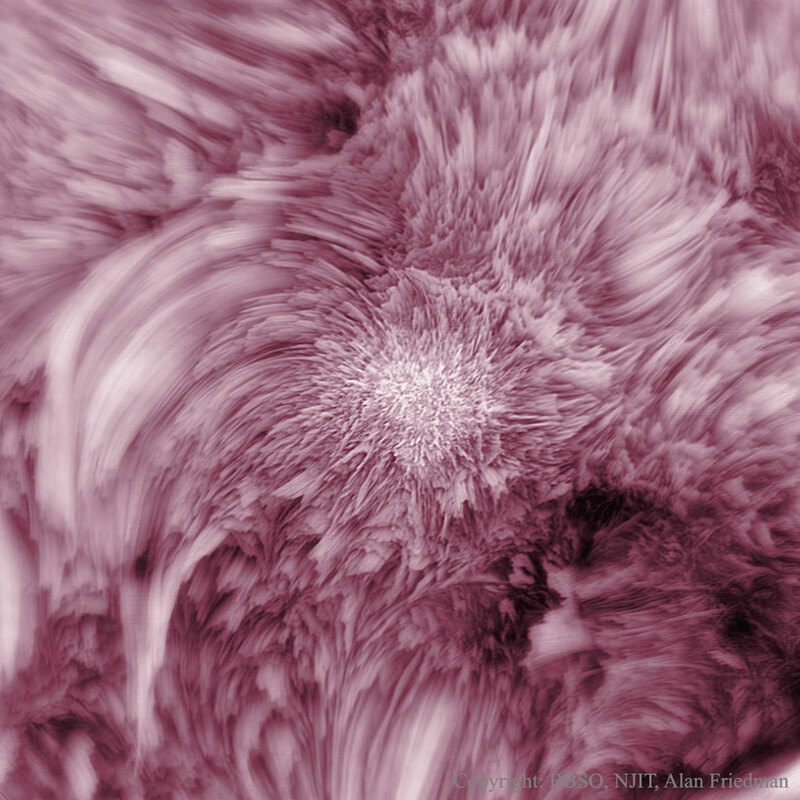 In a specific color of red light emitted by hydrogen, as featured here, some regions of the solar chromosphere may resemble a rose. 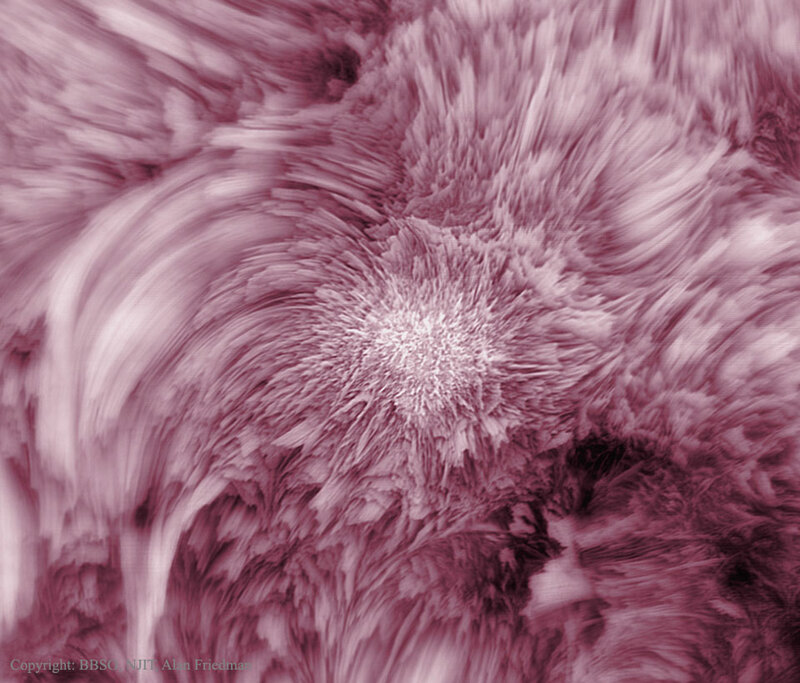 The color-inverted image was taken in 2014 October and shows active solar region 2177. The petals dominating the frame are actually magnetically confined tubes of hot plasma called fibrils, some of which extend longer the diameter of the Earth. In the central region many of these fibrils are seen end-on, while the surrounding regions are typically populated with curved fibrils. When seen over the Sun’s edge, these huge plasma tubes are called spicules, and when they occur in passive regions they are termed mottles. Sunspot region 2177 survived for several more days before the complex and tumultuous magnetic field poking through the Sun’s surface evolved yet again.